Recently I was thinking of “Planes, Trains and Automobiles” for who knows what reason. My partner said such was the title of a funny movie with Chevy Chase in it, but I couldn’t remember ever having watched it. Anyhow, I then came up with the idea of a title for this post, being “Flowers, Gin and Bohemian Crystal”, also for who knows what reason. Maybe, the reason is because it is about random pictures and thoughts – related to Roses in my garden / Premium Gin / and beautiful amber Bohemian Crystal Goblets. 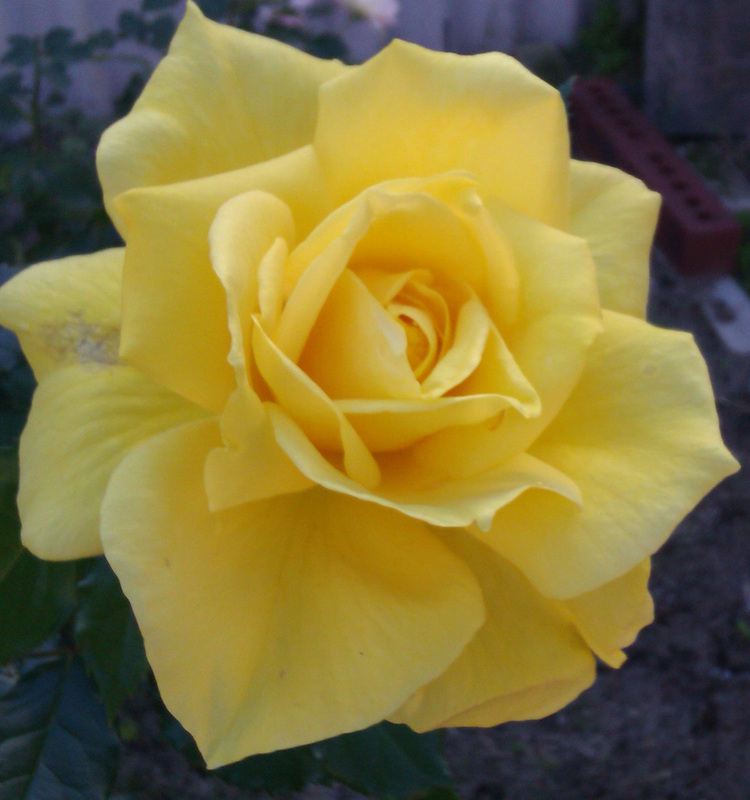 Above are photos of yellow and pink roses from my very own garden. 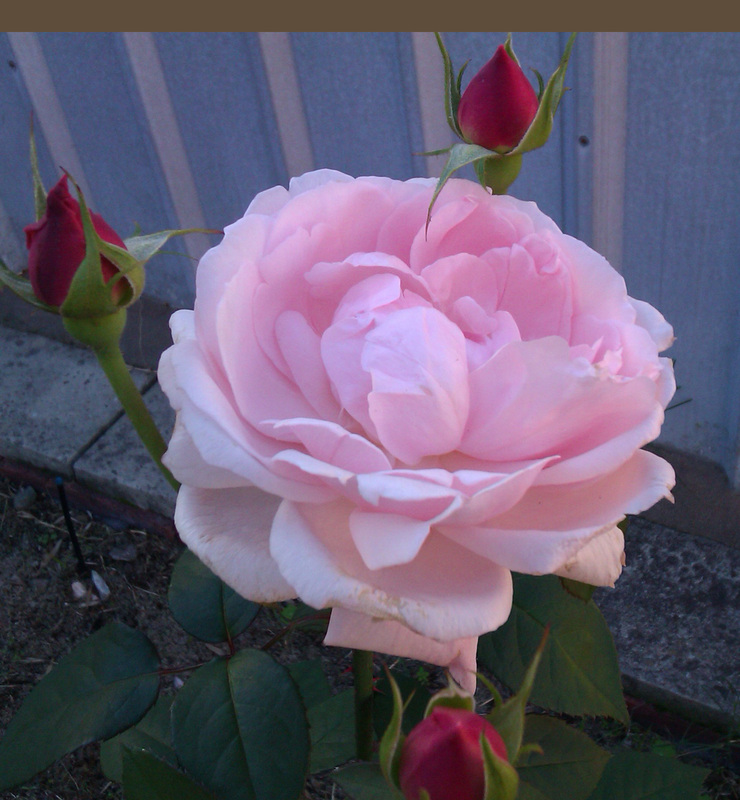 Now, I am not a good gardener or photographer, so these are the best I can offer. I love the pretty colours anyway. 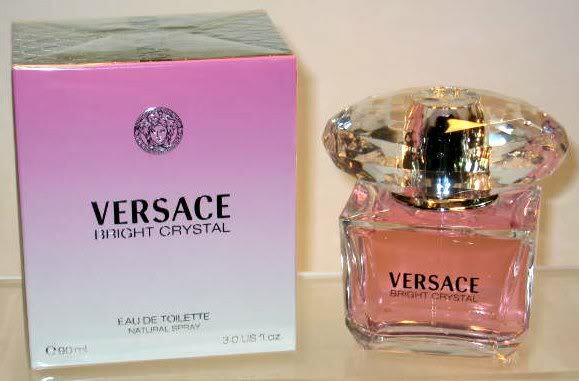 The first photo is of course of a beautiful pink glass bottle of Versace perfume called “Bright Crystal”. I found out quickly that “Versace” is pronounced “Versus” when I went to Myer last week to buy myself this perfume. It was on Special at $70 which is half-price for a 90ml bottle (usually priced at $140). This is what the Internet has to say about this fragrance. 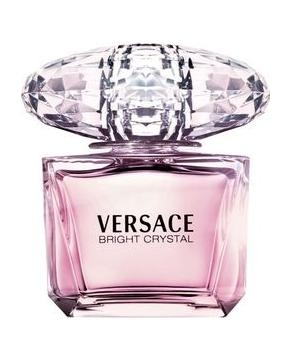 Inspired by a mixture of Donatella Versace’s favorite floral fragrances, Bright Crystal is a fresh, sensual blend of refreshing chilled yuzu and pomegranate mingled with soothing blossoms of peony, magnolia, and lotus flower, warmed with notes of musk and amber. So, there you have it. I have no idea what “Iced Accord” is, but I did test this perfume at Myer and liked it on me alot. Some reviews say it has a weak scent and only lasts for an hour and some say it lasts for about 3 hours. I like its light floral fragrance and decided the time has come for me to make a “scent”. Below is a photo of the bottle with its box – a lovely gift for the discerning woman, I would say. Please note that the photo shows the top looking rather golden and the perfume in the bottle looking orangish, but neither are true. The stopper is clear crystal and the perfume inside the bottle is of course not coloured, but the glass bottle itself is a pale pink colour, as shown in the first photo above. Now, onto Gin. Wonderful Bombay Sapphire London Dry Distilled Gin, to be precise. My mother used to drink Gin and Tonic when I was at home, and I ocassionally had Vermouth and Lemonade, and when out I might have had a Vodka Cruiser mix. Nowadays I like sometimes to have a half a glass of dry white wine at home. But then one day I got to thinking about GIN. This, of course, was prompted by my seeing a Special at our local Liquor Store of this beautiful blue glass bottle with a free cocktail shaker, for a good price. I reasoned I could keep the beautiful blue bottle once we had drunk all of the Gin. This idea is not so “cuckoo” when you consider there are “glass bottle collectors” out there. Well, I used to collect glass bottles myself and my pride and joy was a Pim’s Decanter, which has since been given away. The Internet has this to say about Bombay Sapphire Gin. 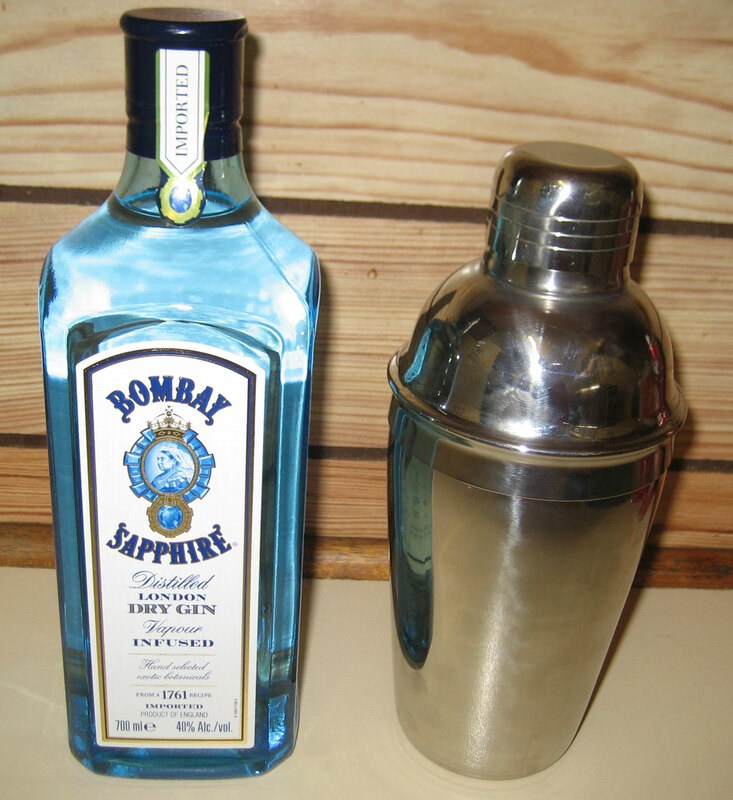 Bombay Sapphire Gin is one of the more popular premium gins on the market for a very good reason. This London Dry gin is one of those that is distinctly gin but not overwhelming on any of the botanicals, which makes it ideal for mixing into any gin cocktail. Beyond the mixable, aromatic flavor, Bombay Sapphire is also reasonably priced and readily available so it can (and should) become a reliable staple in any bar. This is also an ideal gin to introduce people to gin because it is not overpowering but very appealing to any taste. Well, I found it best to have this Gin with lemonade or with Soda water and a twist of lime or lemon. My partner was a bit worried about having any, saying Gin makes one cry. I rushed off to my PC to look this up, only to announce to him that “No, Gin does not particularly make a person sad. Any alcohol relaxes a person and enhances their mood at the time they are drinking. Gin was a cheap and very popular drink a long time ago in England and sad people tended to drink it, and only got sadder over a Gin”. Last, but not least, in this random saga, here are photos of my Bohemian Glass Goblet. This Goblet of amber / honey coloured glass is small but heavy. I love it. It is 5 inches high and is finely etched. 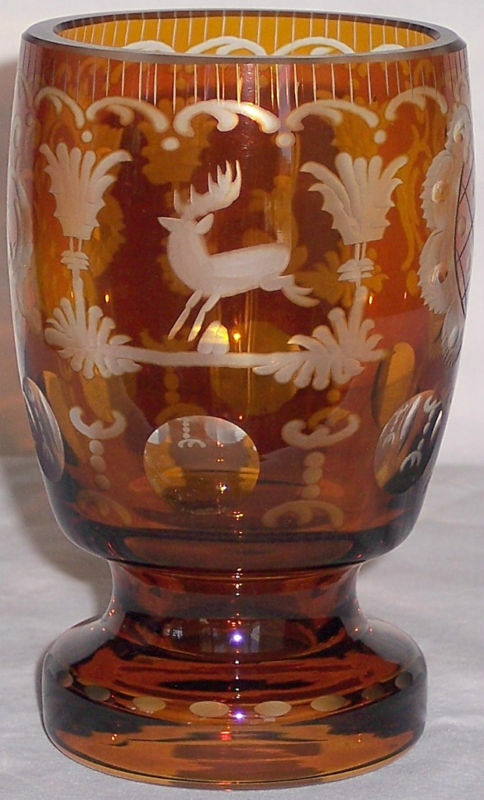 It has a deer on one side and a continuation of the flower motif on the other side. I bought it from an eBay seller for $70, including postage from California to Australia. 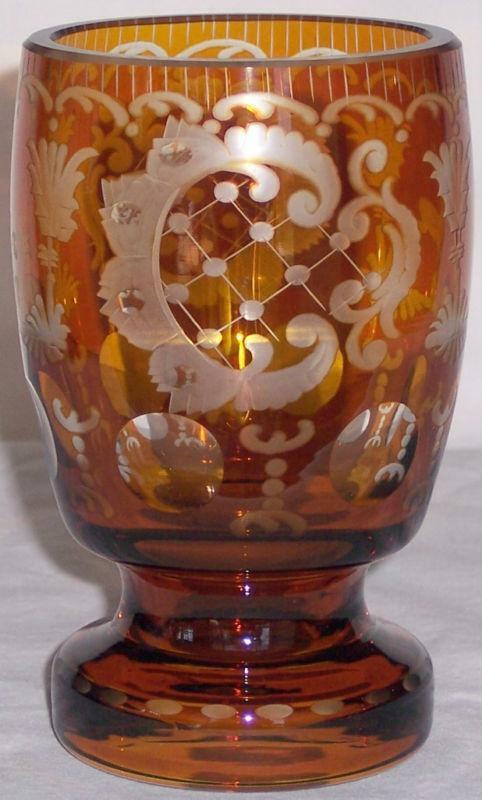 At the time of posting this, the seller has a ruby/cranberry goblet with a bunny etched on it for sale HERE. What more could a girl want? Flowers, perfume, a fine amber goblet, and Premium Gin? Bookaholic and Peace-aholic, and Animal lover, I try to spread peace and fairness for all, and appreciation of, and proper use of the wonderful world we live in. Mitakuye Oyasin - we are all related. I am a fan of Bombay Sapphire, but my favorite gin is Boodles. My preferred cocktail is a Martini, up with a twist. It’s the best.